The love hate relationship with guns, in my opinion, does not warrant them been taken away from the public as a whole. Tires- What’s your need and your responsibility? When it comes to tires, is safety your first thought? Or is it Price? I ‘m not trying to put anyone in the “hot seat”. I ‘m just asking a question. Well before you answer that question, do you have the need for a dependable tire and service provider? Since 1952, TF Tire & Service has been providing the best tires at the best prices possible to customers anywhere in the Central California area. Whether you need retail tires, commercial tires, farm tires, industrial tires, or OTR tires, TF Tire & Service has “Everything you need for everything you drive!” TF Tire & Service carries name brand tires including those from Bridgestone, Firestone, Cooper, and many more. I’ve known Dave as the one to assist you in finding the answer to all your automotive needs. Dave knows his field and he knows what he doesn’t know. He will immediately identify your needs and make a recommendation even if it’s to another trusted provider. I wish I could find this quality in all the people I deal with on a daily basis. Now, back to the original question plus a little F.Y.I. .
U.S. Department of Transportation, National Highway Traffic Safety Administration, in the interest of information exchange. Gail has over 30 years of business development, advertising sales, magazine publishing, and customer service. My trusted attributes are: detail oriented, outstanding attentiveness, diplomatic, trustworthy, dedicated relaxed attitude. I am resourceful. 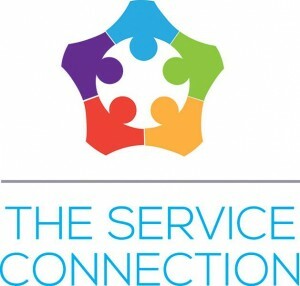 Gail Wilson http://serviceconnection.biz/wp-content/uploads/12234941_783962301733010_4785872845827913534_n-1-300x286.jpg Gail Wilson2015-08-05 04:58:572015-08-05 04:58:57Tires- What’s your need and your responsibility? I’ve long since forgiven Mrs. O’Brien. As the sixth grade orchestra teacher, it was her job to recruit a full complement of string instrument players for the Cedar Manor Elementary School Orchestra. And a fine job she was doing too, with the exception of cello. Try as she might, each one-on-one conference with the 12-year-old students in our class left her with yet another violinist. A few had chosen viola. Two of the cooler kids had picked bass. By the time she got to me, she was desperately twisting arms for cello. I went down like a music stand pushed into an orchestra pit. Never mind that the instrument was taller than I was. Never mind that I was a “walker” and would have to carry the thing nine blocks home and back every weekend. The only thing that mattered was I hadn’t yet decided which instrument I wanted to play and Mrs. O’Brien was going to help me make the choice. Cedar Manor got their cellist. Six years later, after hating the instrument for all but the first five minutes, I finally hung up my last rosined bow. Had I given the matter any thought, I would’ve chosen guitar or banjo or even harmonica. Something that was more portable, with a wider range of entertainment possibilities. Something I would use my entire life. But with the passage of each year, it was harder and harder to quit that cello. All that time invested! You don’t want to waste all that time you’ve already spent do you? Looking back on it now, Mrs. O’Brien looks pretty darn self-centered pushing a four foot kid into a five foot instrument. She had me by authority, by age, by experience, and by size. But even so, knowing what I wanted would’ve been the only defense I’d have needed to prevent accepting what I didn’t want. Knowing nothing, I took anything. And hung on. She may have severely miscast me in my string assignment. And she certainly failed in her efforts to make me an accomplished cellist. But she did succeed famously in an area she’d never intended. Six years of dragging that cello around helped crystallize knowledge that was useful for the rest of my life: If we’re not clearly focused on our own goals, we’re easy prey for others eager to recruit us for theirs. Years later, it’s easy to recognize Mrs. O’Briens everywhere. They’re in employers. In friends. In family. They may mean well when they push us to do this and that, but anyone who pushes isn’t really interested in what we want. They’re using us to get what they want. And when we find ourselves face to face with them, we have but one defense – (short of hitting them with a cello) and that’s having a clear vision of what WE want. Once we’ve tuned our ear to that melody, the Mrs. O’Briens lose their power over us. 25 years later, it turns out that Mrs. O’Brien did succeed with her music lessons. Not through offering an instrument – but by becoming one. She became the instrument through which I would learn one of life’s greatest truths: The only music worth playing is the music that plays in our hearts. Everything else is just a cello. Picture is of Robin Trower performing at the Merced Theatre. Robin Leonard Trower is an English rock guitarist and vocalist who achieved success with Procol Harum during the 1960s, and then again as the bandleader of his own power trio. Trower was born in Catford, London but grew up in Southend-on-Sea, Essex. Playing the “Right Instrument”! http://serviceconnection.biz/wp-content/uploads/12234941_783962301733010_4785872845827913534_n-1-300x286.jpg 0 0 Gail Wilson http://serviceconnection.biz/wp-content/uploads/12234941_783962301733010_4785872845827913534_n-1-300x286.jpg Gail Wilson2015-07-19 05:08:082015-07-19 05:08:08"ARE YOU PLAYING THE RIGHT INSTRUMENT?" What to Do When You Get Stuck In Your Project! Do you ever get in a stuck place with your writing or creative project? I have and I know it is a natural part of the creative process. Yes, it can be uncomfortable, but I believe honoring our process supports the actual work and makes for better final product. I have experienced this at work in both my visual and my written art. Getting stuck usually shows up when I don’t like something, when something feels off or missing. When I was writing The Curious Magic of Buckeye Groves. I got stuck after writing thirty pages. At that point, I was bored with the story – something was missing and I was unclear what it was, therefore I began feeling completely uninspired. I actually set the project aside and started working on another story. Eventually a solution spontaneously arose and I was re-inspired and started working on it again, this time completely in the flow. I spoke with another author about this and she told me she often used the same tactic. I have heard of people who set aside a story for years before coming back to it. I think the key is letting go – a form of non-attachment which creates space for solutions to arise from our subconscious. Sometimes pushing too hard can get in the way. There have been other times when I pushed myself through my resistance. Sometimes resistance is just resistance. Listening to music helps and so do walks in nature or sitting with trees. Creation is a very intuitive process and it is important to be attuned to the messages that come through and to trust myself. Creative projects can be much like giving birth, there are moments when we breath and moments when we push. If you haven’t finished projects in the past, that is not a prescription for what will happen with your next one. The past is not a predictor of the future. Examine your beliefs about finishing projects and look at any limits you are putting on yourself. You may be pressuring yourself in ways that are not helpful. Don’t judge your block. Get curious about it. Visualize – how does that block show up in your body? Can you find a metaphor to describe it? What does the metaphor say about your block? This can be a powerful way to get under the surface to understand what is really going on. Re-examine your commitment and purpose. What was your original motive for this project? Is that still true? What is important to you about this project now? Examine your output goals? Are you beating yourself up over unrealistic goals? Our inner critics tend to get in our way and de-motivate us. Try pushing through your resistance for ½ hour. Did your engagement with the project change? What is a good source of inspiration for you? Music? Walks? Dance? Take some time to nourish your muse and then try writing again. Of course you can always contact me and we can set up a session to explore your project idea, uncover your blocks and get you started pr working again. Contact me to set up a Finally an Author session. You can reach me here, or call me at 925-207-9525.
http://serviceconnection.biz/wp-content/uploads/12234941_783962301733010_4785872845827913534_n-1-300x286.jpg 0 0 Gail Wilson http://serviceconnection.biz/wp-content/uploads/12234941_783962301733010_4785872845827913534_n-1-300x286.jpg Gail Wilson2015-07-07 21:36:232015-07-07 21:36:23What to Do When You Get Stuck In Your Project! FREEDOM, GUNS, SERVICE and Today’s realism. These words are intertwined in our world, life and United States of America history. Whether you own a gun or not has little to deal with the fact that they exist. Since we are being truthful, guns existence is as necessary as air and water. My sons have referred to my lifestyle as “La La Land”. Well I assure you that Little Red Riding Hood, Snow White and Cinderella would agree we need guns. As a free American I feel very protected and comfortable with the knowledge that provisions were made to keep me safe. Rose colored glasses will not distort my realization that all guns are owned, mishandled and ill-used by many. This does not negate the 2nd amendment. This brings me to the introduction of an addition to www.ServiceConnetion.Biz , Schell’s Sport Shop. Carl Schell is the owner and operator for over 40 years in Turlock, CA. Antiques, Notorious, and Infamous are just a few words to describe the inventory. Knowledgeable, competent, authority will portray Carl Schell as a Concealed Carry Class instructor for San Joaquin, Merced and Madera County Sheriff’s Offices. Please “LIKE” Schell’s Sport Shop FaceBook Page. http://serviceconnection.biz/wp-content/uploads/12234941_783962301733010_4785872845827913534_n-1-300x286.jpg 0 0 Gail Wilson http://serviceconnection.biz/wp-content/uploads/12234941_783962301733010_4785872845827913534_n-1-300x286.jpg Gail Wilson2015-06-18 02:18:092015-06-18 02:18:09GUN CONTROL and YOU ARE THE ONLY ONE WITHOUT A GUN. FEEL SAFE?